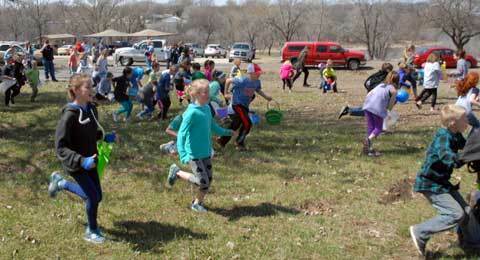 The big kids enjoy a mad dash across the lawn at Southwind Shelter, looking for dozens of Easter eggs and prizes scattered by the Friends of Pomona State Park. 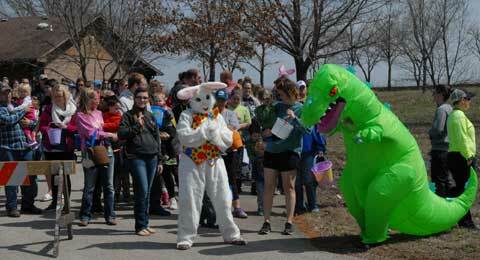 The Easter Bunny arrived along with the Easter Dinosaur at Pomona State Park Saturday, and it was open season for hunting Easter eggs. 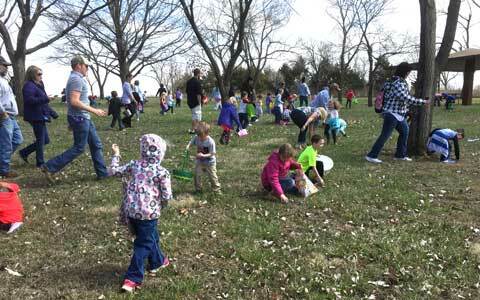 Kids and parents enjoyed the sunny day at the park, hunting eggs, playing games, doing arts and crafts, and taking photos and getting hugs from the Easter Bunny. 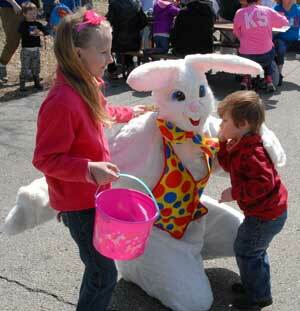 Photos by Jan Williams and Wayne White.